The protesters’ lack of leadership is actually a strength because it functions as an involuntary commitment device. 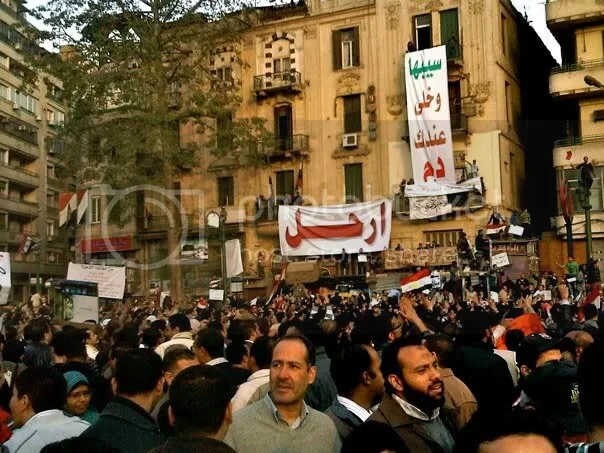 The fact that the movement has no clear leader makes demonstrators’ threat to continue protesting until Mubarak leaves credible, because there is no one with the authority to negotiate a settlement short of Mubarak’s ouster with the popular legitimacy to successfully call an end to the protests. The only real contender for leadership of the movement, Mohamed ElBaradei, would likely be unable to call off the protests even if he wanted to. This credible commitment significantly increases the protesters’ bargaining power. Throwing the steering wheel out the window in a game of chicken is a good strategy because it restricts your actions, forcing your opponent to break first because they know you have no choice but to continue driving straight ahead. By giving up the option to back down you force your opponent to submit or kill both of you. Creating a protest movement difficult to stop before it achieves its ultimate objective is fundamentally the same strategy, and Mubarak knows it. At this point it’s just a question whether popular enthusiasm for the movement and all its hardships will die out before Mubarak breaks.